If you’re anxious to get your very own online store up and running as soon as possible but you don’t have any experience in designing websites or you simply don’t have the budget to hire a professional web designer and pay for hosting either, there are actually quite a few easy ways to go about starting your online business. Continue reading to learn about five sites that give you the opportunity to create a new online store quickly. Miiduu offers a low-cost solution to those who wish to create their own online store but don’t have a high enough budget to hire a professional website designer. Creating an account is free and easy, and the monthly subscription fees are also more than reasonable for everything that you get. It even makes it simple to integrate your new online store into Facebook so you can connect to your followers on social media. 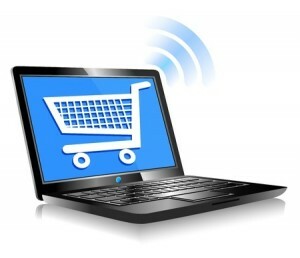 FreeWebstore is another way to make your dreams of running an online store a reality. You certainly don’t need to be well versed in HTML or website design to create a great looking platform on which you can sell your products to your customers. Simply choose your template and customise it before adding your products to your store. Then, everything else is taken care of so that you can start promoting your store. FreeWebstore even makes it easy to set discounts on products and see how your site is doing through its built-in analytics. Shopify does require that you pay a monthly subscription fee, but you can get a free 2-week trial to see if you like it and how many sales it helps you make. It’s a great place to get started in developing your first online store because you can choose from a variety of stylish templates that you can then customise to suit your needs. Once you’re done customising the page, you can add your products and launch it. Shopify sites also make it simple to accept all major credit cards, and it encrypts data to ensure every transaction is secure. In a mere few minutes, you can design and launch your own online store for free using Tictail. Start by creating an account and signing in simply using your Facebook or Twitter account. Then select your country and your currency before moving on to uploading images of your products, setting up a PayPal account to receive payments, and feeding your activity into your Twitter account. You can even write up your own return policy or use the template built in. Finally, launch your store and promote it. And the best part is that Tictail is completely free to use. Yet another site that helps you set up and launch an online store quickly and easily is MadeFreshly. The most basic package is absolutely free, but if you want to upgrade, there are fees involved. To set it up, all you need to do is choose your store’s name and template, upload your products, and choose how you want to receive payments.